Further photos are shown below. Private Albert Prattley EMMITT, 242552. 5th Battalion the Yorkshire Regiment. Son of Francis George Prattley, of Hutton-le-Hole, Kirkby Moorside, Yorks, and the late Hannah Prattley. Killed 26 March 1918. Aged 27. Commemorated Panels 31 and 32, POZIERES MEMORIAL. 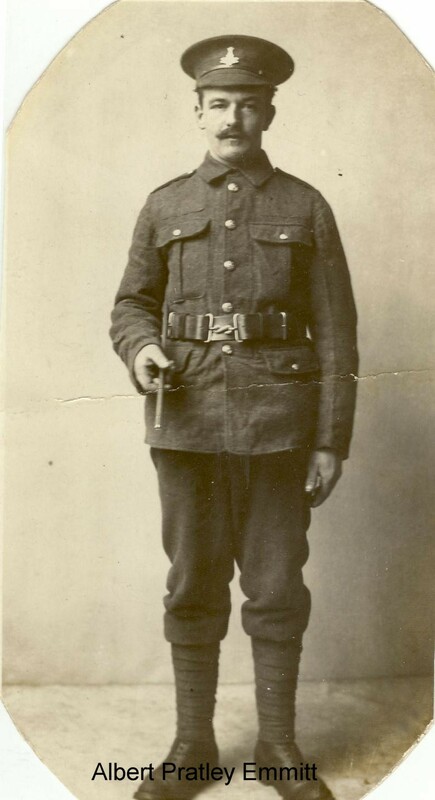 Alan Best (<besta1@sky.com>), a nephew of Albert Emmitt, supplied the information and photograph relating to Private Emmitt. We are extremely grateful to Mr Best for providing this material. My late uncle was Albert Prattley Emmitt. Albert was born out of wedlock on the 1st October 1892 to Hanna Emmitt and my grandfather Francis George Prattley and as was the case at that time he had his mothers surname and fathes second name. His parents were married Nov/Dec 1891. 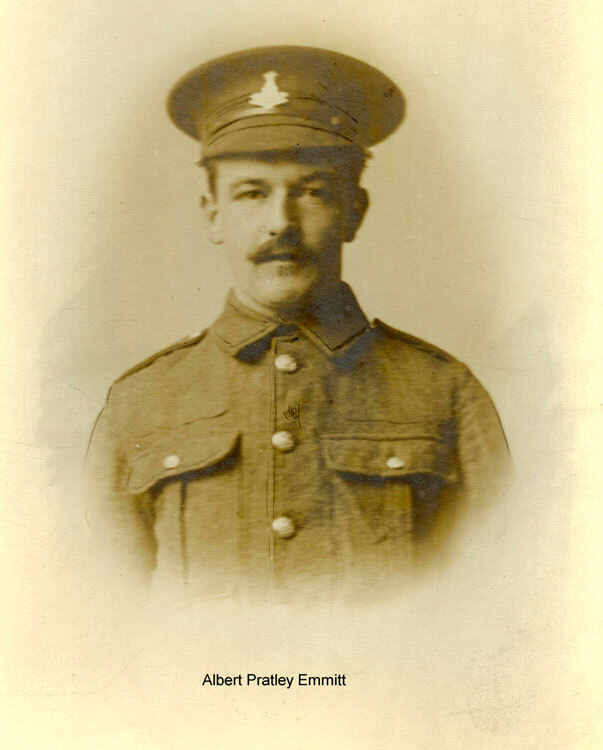 Private Albert Emmitt 241552 5th Battalion Yorks Reg was killed on 26th March 1918 and is commemorated at Pozieres. My mother was Albert's step sister and as the only girl in the family his war medals and bronze plaque were passed to her and are now in my possesion. Albert Emmitt is commemorated on the Hutton-le-Hole War Memorial. Also on the Hutton-le-Hole war memorial are T W Prattley and W A Proctor who survived the war and are part of the Prattley family. Thomas William Prattley is the younger brother of Albert being born in 1893 although he survived the war he lost a leg. William Alfred Proctor born 1896 is the cousin of Albert and Will his mother being the brother of Francis George Prattley. At the moment, the regiments served in by T W Prattley and W A Proctor are unknown.